House on the Waterfront 2018 Gift Bag of goodies for a limited time while gift items last. Get your House on the Waterfront gift bag today! Offer for a limited time and as supplies last. 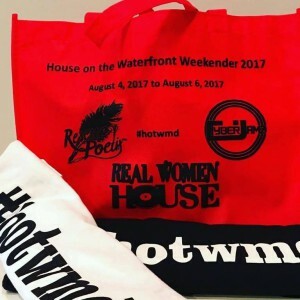 1 – Cyberjamz Radio.Real Women House or House on the Waterfront Weekender T-Shirt (Blk or Wht) Most sizes. 1- Black or White #HOTWMD or Cyberjamz Radio Towel. 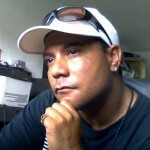 1- Cyberjamz Records #HOTWMD Music Compilation cd (Various Artist). Event cards of all the events provided for that weekender AND a few other goodies. Gift basket courtesy of Cyberjamz Radio™ , Real Women House™ and RescuePoetix™ Management & House on the Waterfront Weekender™ 2017. **when making a purchase please add size,color and mailing address ,those that live outside the USA,there will be an extra charge to mail out package.